We are a family owned and operated business. 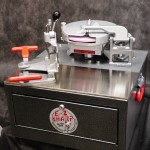 We take great pride in providing our customers with the finest in skate sharpening equipment and supplies and offer an outstanding satisfaction guarantee policy. 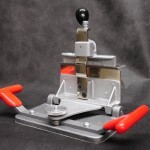 All machines and equipment are made in the U.S.A.
We are in business to serve you – the customer! 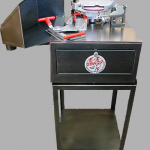 We stock and maintain a large inventory of the finest in skate sharpening products, designed and manufactured for all makes of skate sharpening machines. 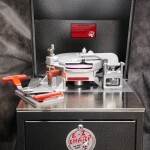 We carry sharpening supplies: 7″ & 8″ precision balanced wheels (pink, gray, white), diamond dressing tools, hand hones (standard, medium & large wedge), stick wax, etc. Copyright © 2019 E-Z Sharp. All Rights Reserved.